Within Teamwork Projects you may at times need to reassign tasks which belong to a user leaving your project. To do this navigate to the People tab of your project. In the list of people on the project, hover your mouse over the user you wish to remove and three icons will appear to the far right of the users name. Reassign any items to somebody else. 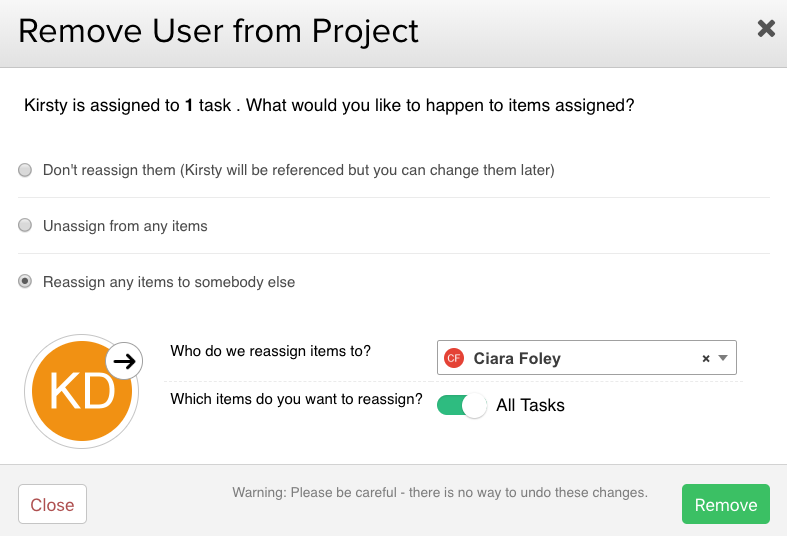 When you choose the third option, Reassign any items to somebody else, you can select an existing member of the project to reassign the tasks to. Once you click Remove, all tasks will be reassigned.